High Street Market: 4th of July Party! Two days down, two to go! 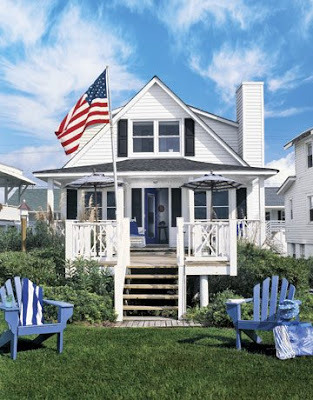 Do you have plans for the 4th of July holiday? I am excited for the fireworks and extra day off from work... might have to do a little shopping beforehand at J.Crew. My lastest installment of 4th of July related blog posts includes patriotic crafts... I'm not really that crafty (relatively speaking), but these seem easy enough! And, if you are hosting a party on the 4th, why not try a couple! All of these are from the Martha Stewart website, of course. 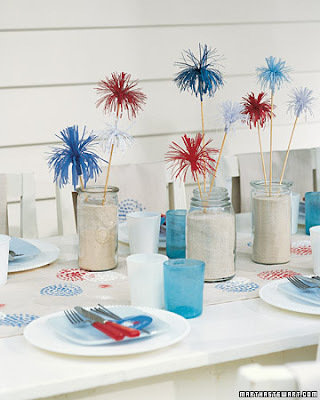 get the "How To" on Martha's Fireworks Tablesetting HERE. 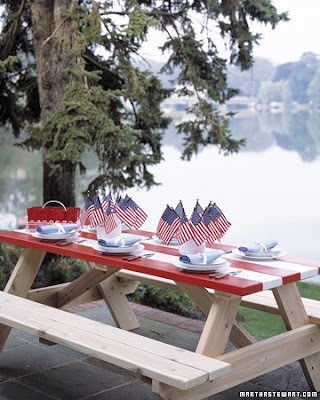 learn how to make your Striped Picnic table HERE. 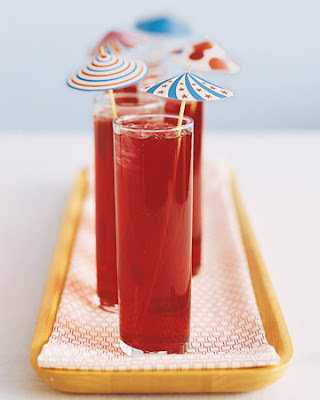 get the "How To" on these sweet little Drink Parasols HERE. 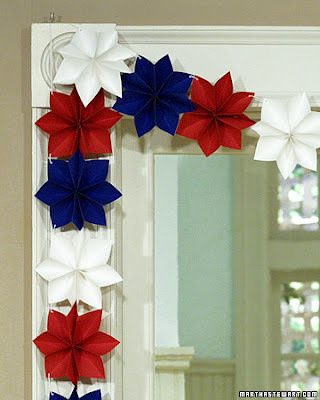 learn how to make your Red, White & Blue Garland HERE.